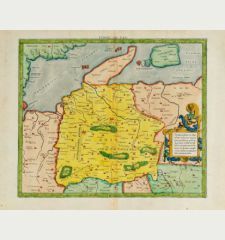 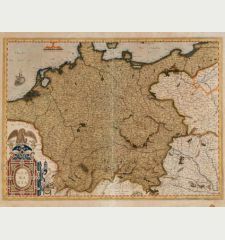 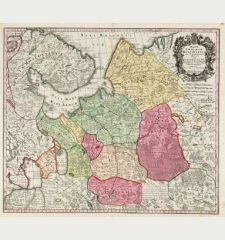 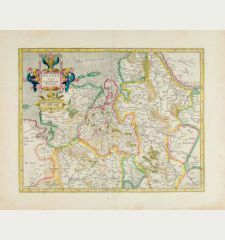 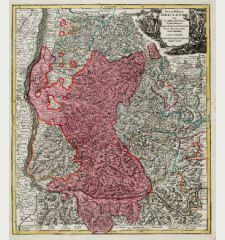 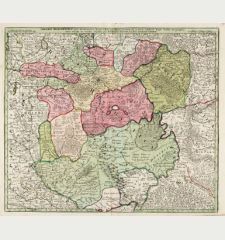 Old coloured map of Ulm, Baden-Württemberg. 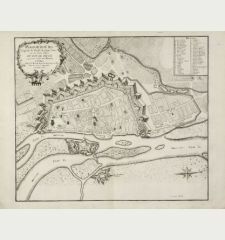 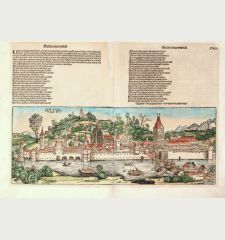 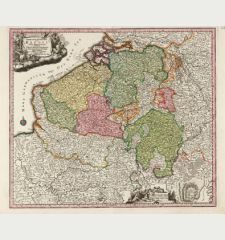 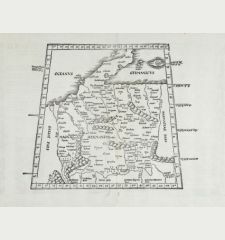 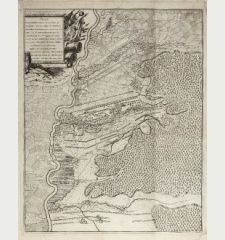 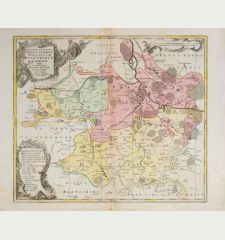 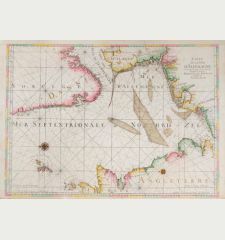 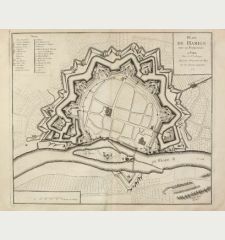 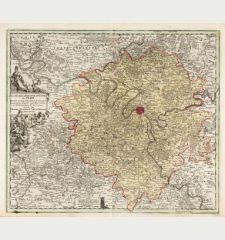 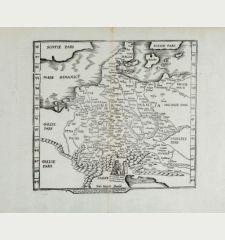 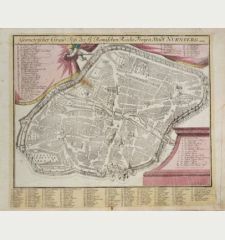 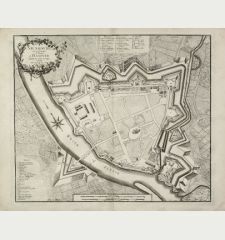 Printed in Augsburg by M. Seutter circa 1735. 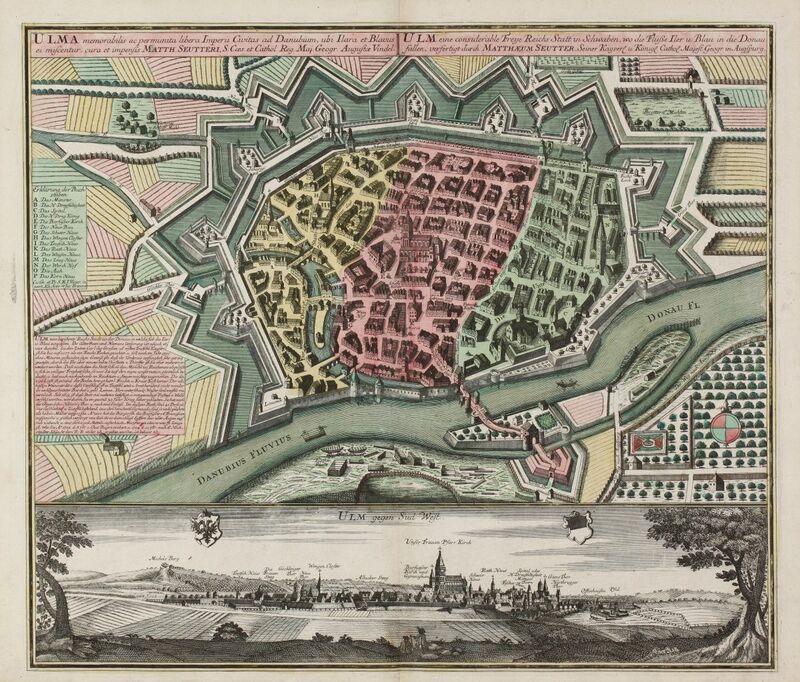 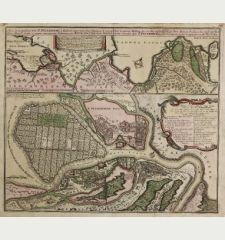 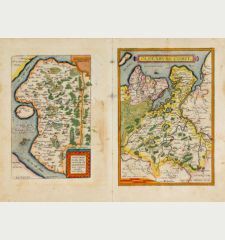 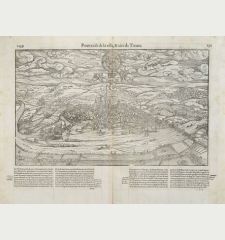 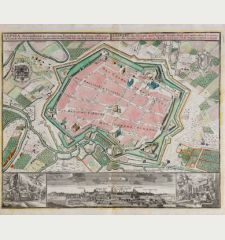 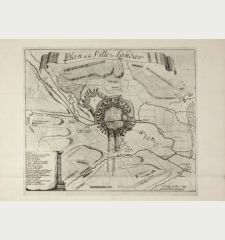 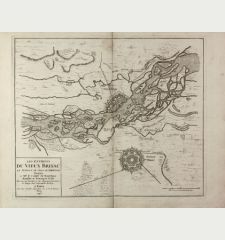 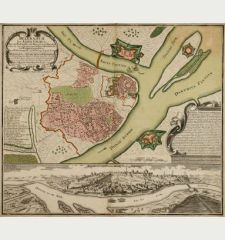 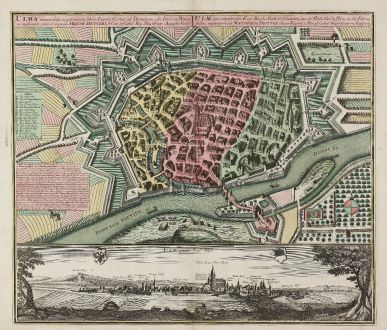 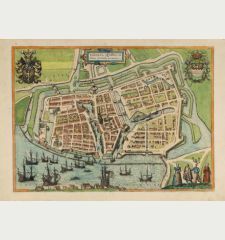 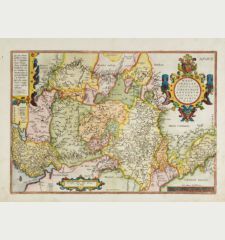 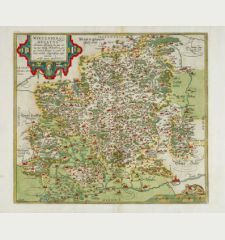 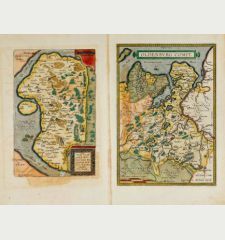 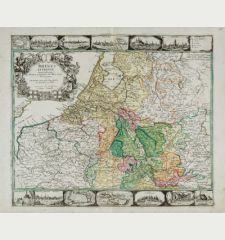 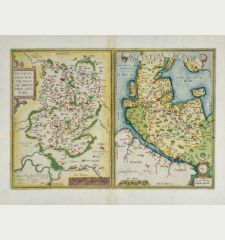 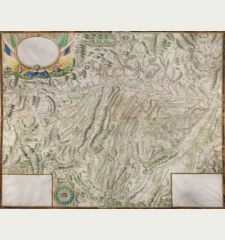 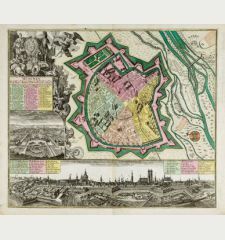 Large, old colored engraved city map of Ulm by Matthaus Seutter. 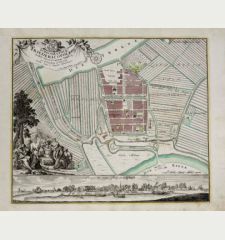 The overall perspective plan with determination of individual buildings as well as detailed explanations. 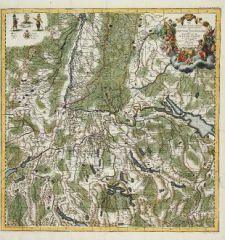 In the lower third the view 'Ulm gegen Sud West' with two coats of arms. 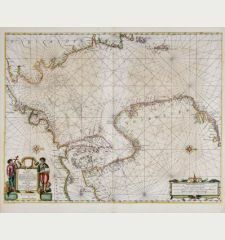 Title bar above the image.